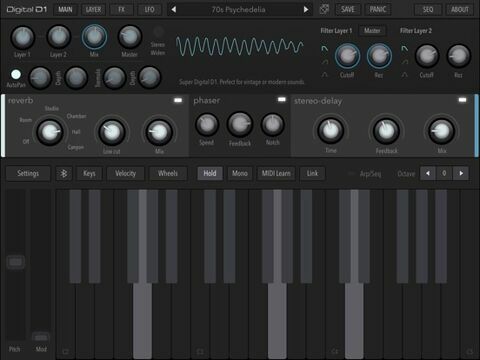 100% of proceeds from this app go to support the AudioKit open-source project & AudioKit Synth One. "D1 Sounds awesome... Get this app!" 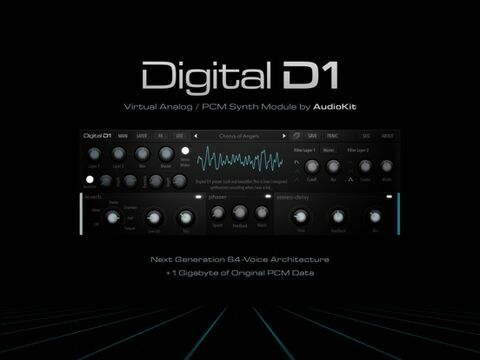 • 64-voice Hybrid Digital Poly Synthesis. • Space-saving Compression - The whole app is under 150mb! • Dual layers per voice. Keyboard splits. Velocity Scaling. 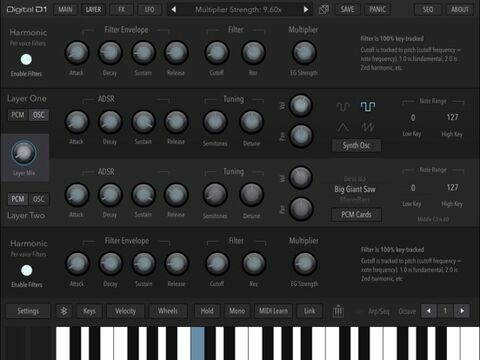 • Vintage-style Arp/Step Sequencer that can be routed to specific layers. • 3 LFOs. Fun Routings. LFOs can modify other LFOs. • Plus, per-voice Harmonic key-tracked Envelope filters. • FX: Glorious Reverb, Phaser, Digital Delay, Distortion, Flanger, Chorus, Crush, and more. • The Sound. Oh, the sound. You won't believe it. "Beautiful. Lush. Modern and Amazing… An Instant Classic." Works on iPad 4 and above. For iPad 4 - Open the "Settings" button (to the upper left above the keyboard). Turn the buffer to 512 or above. And turn the "CPU Efficient" toggle to on. If still having trouble, try closing other music apps and/or rebooting your iPad. Thanks! Not sure if Digital D1 will work on your device? by Computer Music & Future Music magazine. "The Best Synth For iOS [period]"
"I've been playing synths for 35 years. 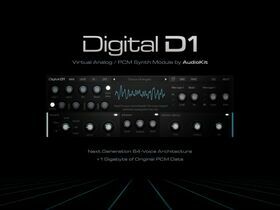 And, this is as good as it gets"
"Breathtaking Presets, right out-of-the box"
"The sound quality competes with hardware synths"
You want great sound right away? It has tons of presets. Plus, the ability to easily manipulate sounds with filters, delays, and other FX. Easy to use. Easy to get great tone. + Mod Wheel can morph between layers. Start with an Electric Piano, and slowly bring in Strings with your MIDI controller. + Creative and beautiful live performances. + AUv3 support is coming around Jan/Feb. It will be a free upgrade. Or, you can just wait and buy it then. No rush. You're cool. We're cool. Everyone's cool with Digital D1! 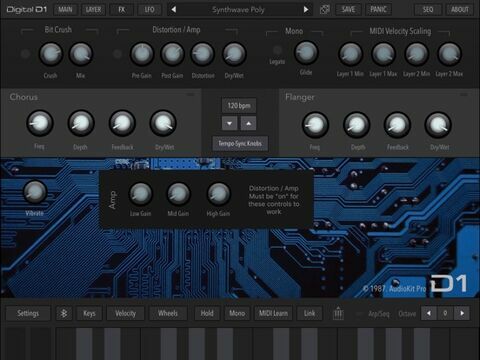 ** This app does not sample any PCM-based synths, including Roland or Korg digital keyboards. Additionally, this app does not have any business relationship with Roland, Korg, or any other 80s/90s Digital Synth manufacturers. *** All app sounds were created by pure analog and fm synthesis. We took these new sounds. Stacked them. Flipped them. And, processed the heck out of ’em. Resulting in a beautiful new sonic palette for you to enjoy. Thanks everyone! We're constantly upgrading Digital D1! 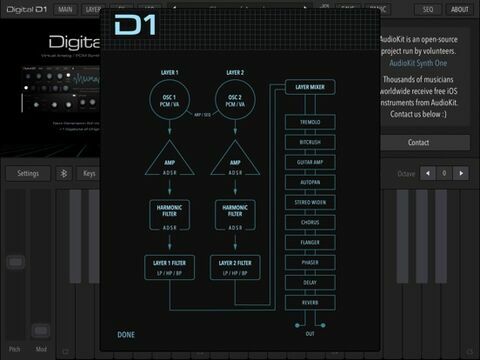 * Quick Stability Fix: This update should make D1 more stable when playing with MIDI standalone. First try restarting your iPad. Include the preset you're using, and what you press immediately before your crash. We want to get this working for everyone. + Please note, that if you're using IAA, we're working on the AUv3 version every day. Which is better. And, it will be a free upgrade, of course! + We'll always be updating and adding cool stuff to Digital D1. The app will just get better & better - stay tuned! We're working hard to improve the app for you!